• Ready to star: Rhonda Mayo, Anne Miller and Foster Primary School student Harley Shelley are keen to see Foster covered in stars this Christmas. FOSTER businesswoman Shelley Brewer believes a plan to see the town covered in gold stars this Christmas would be a perfect “celebration of community”. 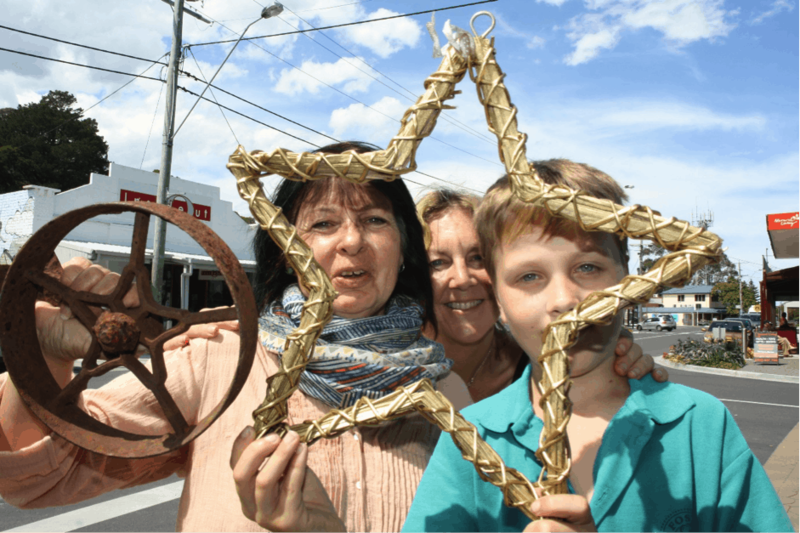 The Foster Chamber of Commerce member is encouraging people to make stars for display in town. “We are hopeful that individuals and community groups will get behind the project and make Foster come together in a brilliant wave of gold stars,” Shelley said. Endorsed last week at a Chamber meeting and initially brought forward by local artist, Anne Miller, the idea is already gathering pace. “We’re keen to see gold stars appear in shopfronts, the Foster laneway and outside buildings,” Shelley said. Shelley already has the support of Rhonda Mayo from Foster Secondary College and Prom Coast Arts, along with Foster Primary School teacher Jane Power. “I’m happy to say both schools are all keen to be a part of decorating the town in gold stars. Rhonda and Jane are confident the majority of students will participate,” Shelley said. Shelley said people are also welcome to approach individual shopkeepers to work on designs that suit their mutual tastes. The Foster Post Office will serve as a collection point, with all stars to be delivered by Monday, November 26.